Well, I never did get to try the President's Honey Ale (probably a Twitter follower is why). 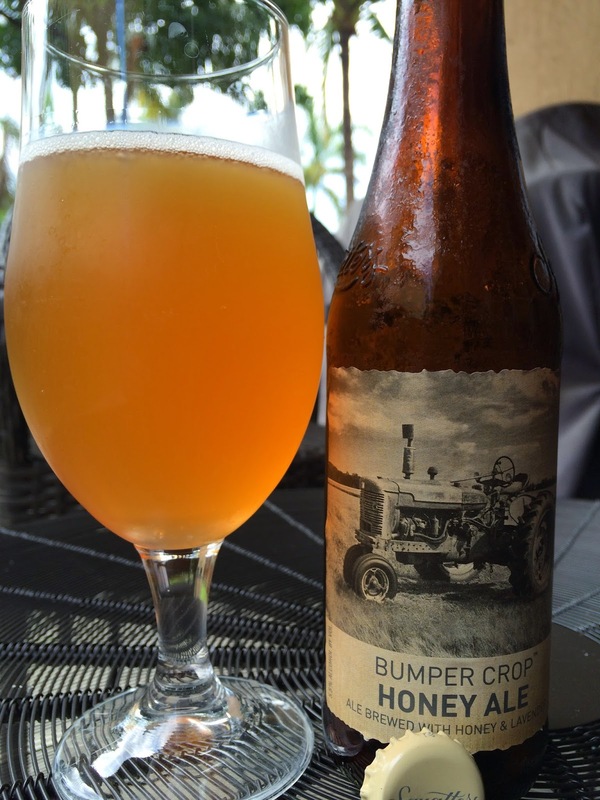 But perhaps Utah Brewers Cooperative's new summer seasonal, Squatters Bumper Crop Honey Ale, might be the next best option. The label shows a photo of an old-school tractor in a field. 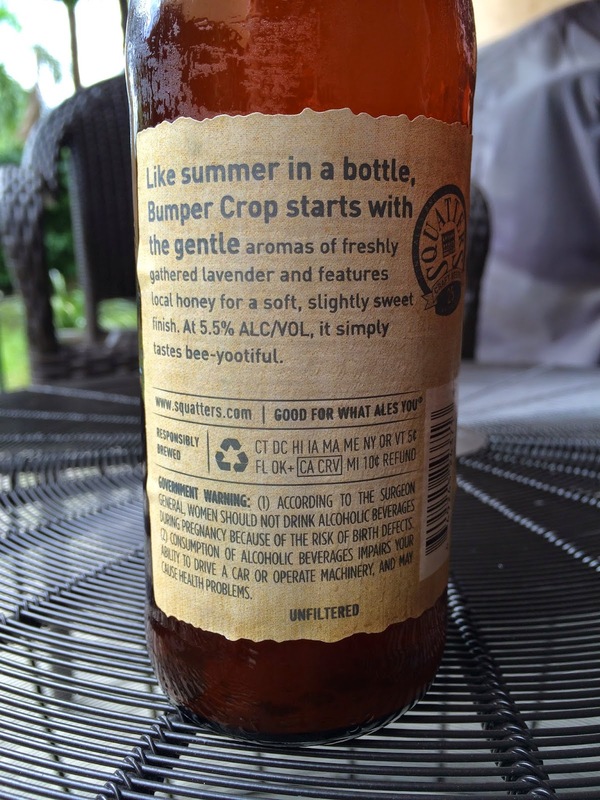 On the back of the bottle, a short story about lavender and local honey, creating a beer that "tastes bee-yootiful." Unfiltered. 5.5% alcohol. 15 IBU. Pleasant flowery lavender aroma with malty sweetness in the background. Sweet honey flavors and plenty of lavender and flower flavors are pretty much what this beer offers start to finish. Yes, I know that's what was promised. Just stating the obvious. Mostly a malty beer though there is enough bitterness and carbonation to tone the initial sweetness just enough. The lavender lingers at the finish, and by the end of the bottle is just a touch too much. Simple and tasty. Check it out.